In Santa Barbara, we celebrate the waterfront and enjoy Stearns Wharf, shops and restaurants in and around the wharf, the Pier, the harbor, yacht club, the finest hotels at the ocean's edge, Chase Palm Park, the bike path for bicycling, jogging, roller-blading, or just strolling. Sundays invite locals and tourists to join in the Art Show on Cabrillo Boulevard, some of the world's best volleyball players can been seen at East Beach, enjoy a walk around the Bird Refuge, see the sights at the Santa Barbara Zoological Gardens (a wonderful and outstanding day trip for the entire family) and enjoy the Pacific Ocean at its finest! 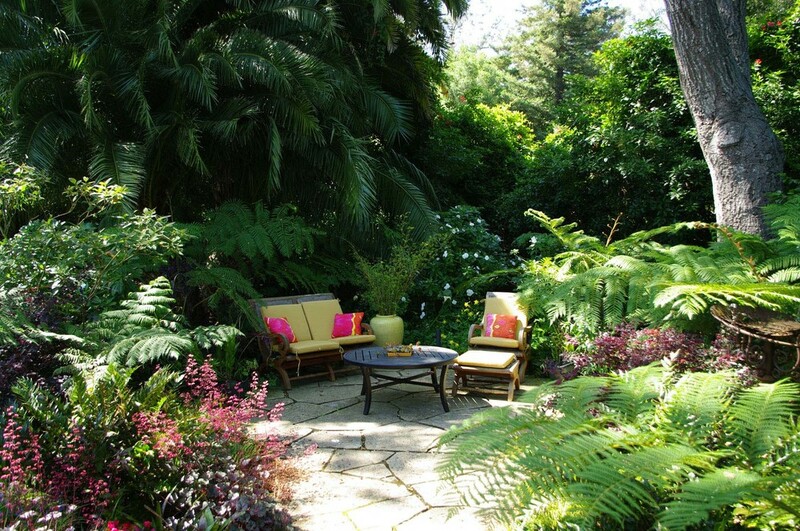 Montecito means "little mountains, little forest" an apt name for this area of winding, tree-shaded lanes reminiscent of an English countryside. The area has long been known for the style and elegance of its residences, both historic and contemporary. Many of Montecito's most impressive estates, build at the turn of the century by wealthy Easterners, were modeled after the sumptuous homes of England, France, Spain and Italy. Landmark hotels in this area include the Montecito Inn, build in 1927 by Charlie Chaplin and Fatty Arbuckle; the San Ysidro Ranch, where the guest register lists such names as Jean Harlow, Laurence Olivier and Vivian Leigh, Winston Churchill and Mr. and Mrs. John Fitzgerald Kennedy; and the Santa Barbara Biltmore, with its spectacular ocean vistas. Montecito offers shopping opportunities at both the "Lower Village" on Coast Village Road and the Upper Village on East Valley Road. A network of elegant, palm-lined streets and rich landscaping makes Hope Ranch look distinctly un-ranch-like. The magnificent date palms along Marina and Las Palmas Drive are over 80 years old and tower as high as 6- feet. Hope Ranch is named for Thomas Hope, an Irish immigrant who for a time worked as a Texas cowboy. Eventually Hope moved to Southern California and acquired the two former Mexican land grants totaling over 6,000 acres that bear his name today. Hope even built a racetrack to indulge one of his favorite pastimes. The equestrian tradition continued today in Hope Ranch, considered one of the most prestigious and gracious locales in the country. Many of the grand estates here were designed by the leading architects of the turn of the century, including Reginald Johnson and Peter Barber. Rincon Point in Carpinteria is considered a surfing paradise. Even non-surfers can appreciate Carpinteria's expanse of beautiful beaches and campsites. Agriculture is a major local industry and every year in the early fall there is a two-day avocado festival, which features every possible avocado delicacy including avocado ice cream. The Santa Barbara Polo & Racquet Club is on the mountain side of the freeway (take Santa Claus Lane exit). Matches are held almost every Sunday from April to October. The University of California at Santa Barbara, the fourth largest in the UC system, is not located in Santa Barbara. It is in Goleta, Santa Barbara's neighbor to the north. UCSB is a small city in itself. Spread out over 800 acres overlooking the Pacific Ocean, the university is the single largest employer in the Santa Barbara County. Goleta is also home to many of the electronics and research and development firms that flourish in the county. Goleta Beach has a salt marsh which is a good place to spot many species of ocean and beach birds. The Witness Tree, located at 5555 Hollister Avenue is a historic, 300 year-old sycamore tree marking one of Santa Barbara's earliest homesteads. Solvang, the heart of the Santa Ynez Valley, is as different from Santa Barbara as Copenhagen is from the Costa Del Sol. Founded by a group of Danish settlers in 1911, the town has adopted the Danish style of architecture, including half-timbered buildings with high-pitched roofs. Every September the Danish Days festival draws tourists for three days of Scandinavian feasting, street dancing and parades. The area boasts a number of excellent wineries, including Foley Vineyards, LinCourt Vineyard, Firestone Winery, Sunstone Winery, Zaca Mesa Winery, Ballard Canyon Winery, Santa Ynez Valley Winery, Gainey Winery, Vega Vineyards, Sanford Vineyards, to name just a few. The Old Mission Santa Ines and La Purisima Mission in Lompoc are two in the series of California missions founded in the 18th and 19th centuries. Just over the spectacular San Marcos Pass from Santa Barbara, Lake Cachuma, six miles long, offers camping, hiking and trout fishing. Susan remembers "It was a wonderful place to grow up!"